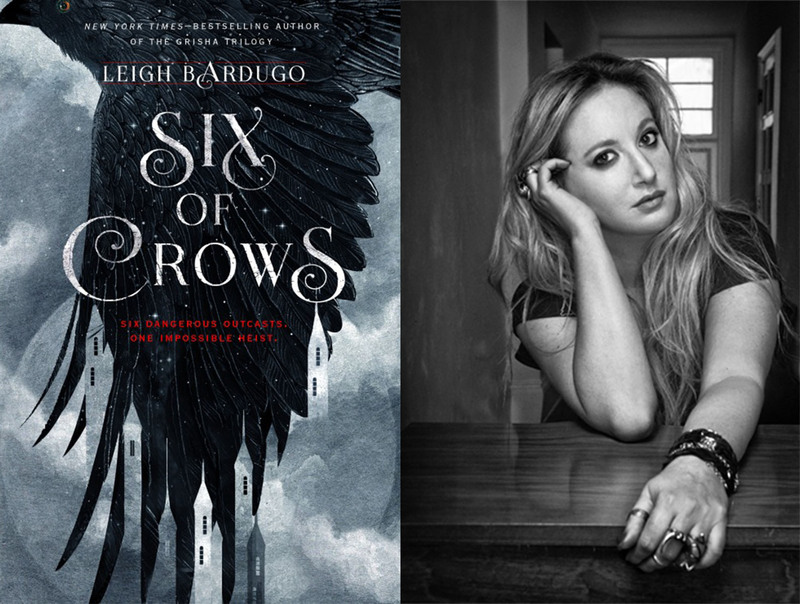 Today, I’m sharing my eight author Q&A featuring Leigh Bardugo! Leigh is the author of the Grisha trilogy and the upcoming Six of Crows. Jordan: What inspired Six of Crows? LB: I think Siege and Storm is my favorite cover, but I haven’t seen Six of Crows in hardcover yet! Song covers? Ha! I love covers of “Go your own way” by Fleetwood Mac more than the original almost always also love Placebo’s cover of “Running Up that Hill” by Kate Bus verrrry Darkling. LB: I absolutely loved Illuminae and Dumplin, and I am DYING for The Rose Society. J: Which fantasy world would you love to live in? LB: I’d go to Hogwart’s no question. I love Westeros and Arrakis but I’d never survive there. LB: I binged on The 100 and The Jinx. BOTH AMAZING. J: How excited are you for The 100 season 3 & more Bellamy? LB: *whispers* Bellarke for life! LB: I’d be able to write a perfect first draft! Thanks, Leigh, for answering my questions during the twitter chat! Look for Six of Crows in stores on September 29, 2015!